Creme de la Tributes, born 3 years ago, will be back with a vengeance! If you sing (and/or) look like any popular singing star, WE WANT YOU! Frank Sinatra, Michael Jackson, Garth Brooks, Whitney Houston, Tom Jones. Luther Vandross, Janis Joplin, Stevie Wonder, Neil Diamond, Billy Joel, George Strait, Reba McEntire, Elton John, Aretha Franklin, Cher, Madonna, Bon Jovi, the list is endless. (Anyone except Elvis!) This should be one of the most exciting and flat out fun events we have ever staged at any KaraokeFest. 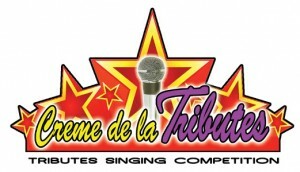 The qualifying rounds for the Creme de la Tributes will take place at Historic Main Street in Garden Grove, presented by the Garden Grove Downtown Business Association. Karaoke Scene is proud to welcome Historic Main Street to our KaraokeFest singing contests and look forward to a long time relationship with them in future years. Historic Main Street has provided a great venue for these contests and we thank them for all of their support and cooperation. Creme de la Tributes competitions will be held in conjunction with the Local Harvest Farmers Market, will be held on July 30th, August 6th, 13th & 20th (all Sundays). This year 5 (five) finalists will be chosen each week (for each contest) to compete at KaraokeFest 2017 (no semi-finals). Qualifying round dates are July 30th, August 6th, 13th & 20th and will begin at 1 pm each day. Registration/sign ups from 10:30 am – 11:45 am. There is a $5 registration fee to compete. Five winners will be selected on each qualifying date from the field of contestants. All finalists will compete during KaraokeFest™ 2017 at the Los Angeles County Fair in Pomona. Trophies, cash, and merchandise prizes will be awarded to the first, second, and third place winners.